Finishing encompasses a variety of techniques. The application of traditional Genevan/Swiss-style finishing is not unlike writing a sonnet: there is a very particular, strict form you have to follow, but within that form, you are free to express yourself to the limits of your skill and taste. The basic vocabulary includes anglage, or the bevelling of the edges of bridges and plates; perlage, or the application of “spotting” to the movement; Geneva waves; black or specular polishing, which is applied to steel parts to give them their distinctive mirror-like finish that either is uniformly grey, white or black (hence the term black polishing), and so on. 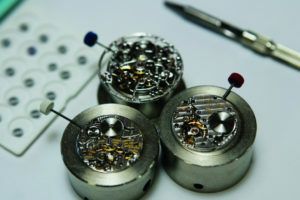 In a true haute horlogerie movement, every component is a miniature work of art — every screw, for instance, will have been carefully polished, with the slot cut and then finished so as to remove even the slightest manufacturing burrs, and the slot itself is bevelled to receive the tip of the watchmaker’s screwdriver in such a way as to allow torque to be applied without raising any metal in the slot itself (this also requires the screwdriver to have a properly sharpened tip, and even learning how to sharpen a screwdriver tip properly is a specific skill taught to haute horlogerie watchmakers). The application of finish, or finissage, is the domain of the finisseurs, or finishers. 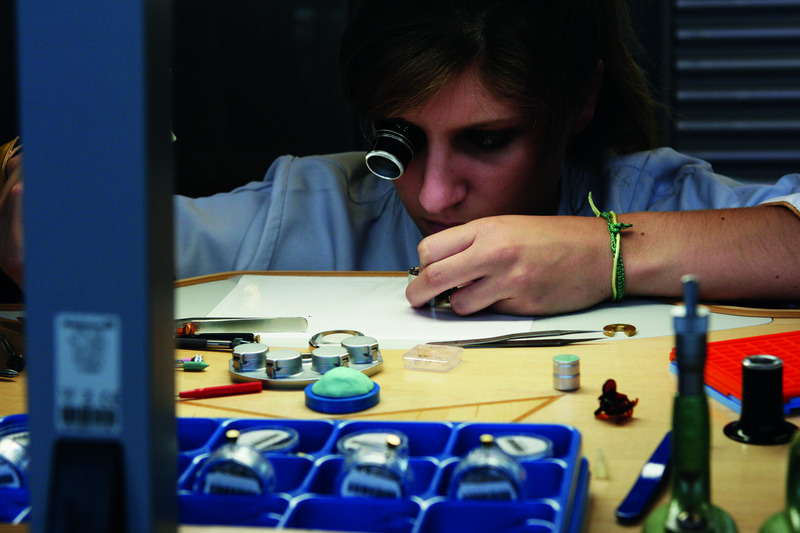 A single component out of the hundreds found in a complicated watch may take the better part of an entire day to finish to haute horlogerie standards — in contrast to an entry- to mid-high-level mechanical watch, where there is anything from no finish applied once basic machining is done, to machine-applied or machine-assisted applications of finish which approximate to varying degrees what can be achieved with manual techniques. In mid-level movements decorated with Geneva stripes, for instance, the stripes may not line up exactly across the various movement bridges, or (a very common phenomenon) too much material is removed. Good Geneva stripes remove almost no material, creating a shimmering iridescence rather than a harsh glare. Excerpted from an article by Jack Forster on his visit to Vacheron Constantin, available here.